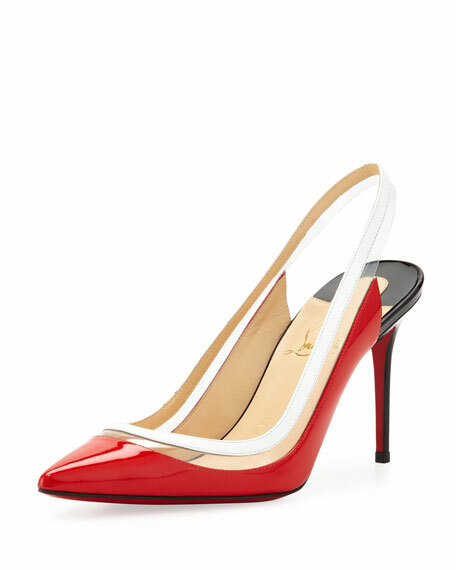 This Christian Louboutin pump has style nothing short of fabulous. Let the Paulina point you in a fashionable direction. 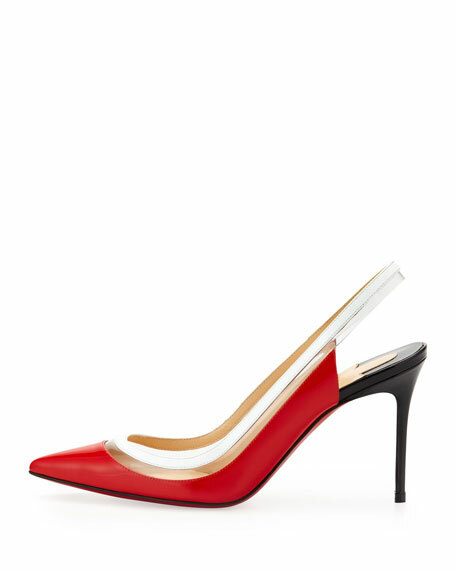 Patent leather with transparent PVC. 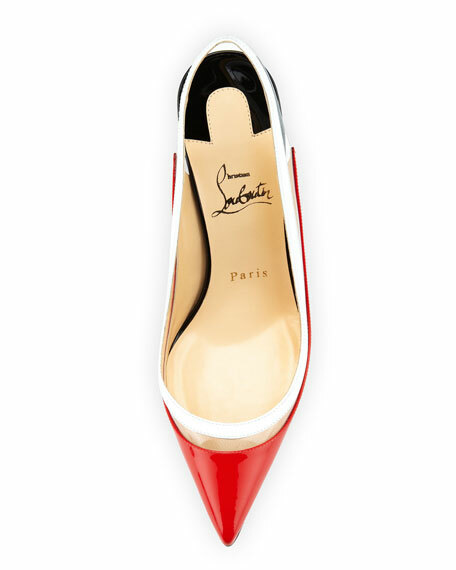 Signature Christian Louboutin red leather sole. "Paulina" is made in Italy.